The Domain Hotel and Spa Bahrain has taken down the social walls of traditional hotels and focused on bringing its guests together, which is a refreshing break from the typical atmosphere of exclusive establishments. The hotel is about 8 km from the Bahrain International Airport and offers flawless airport transfer service. The entrance lobby welcomes guests to glitters of gold-rich textures and overhead lighting incorporated into a decorative circular wood features. The Domain Hotel and Spa is a par luxurious, lifestyle hotel offering nothing less but the very best, be it for business or leisure travellers. 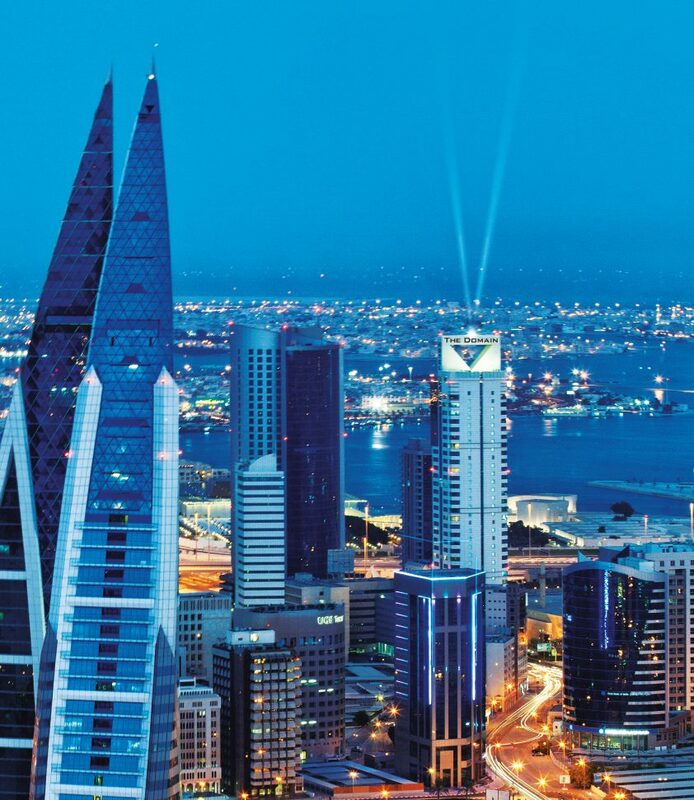 The hotel boasts 34 elegantly decorated Executive guest rooms and 97 spacious luxury suites, featuring state of the art facilities, wall sized windows and panoramic views of the city, with Bahrain Bay overlooking the Arabian Gulf sea from every room. All rooms and suites are masterfully laid out to include spaces for work and play while not skimping on style.